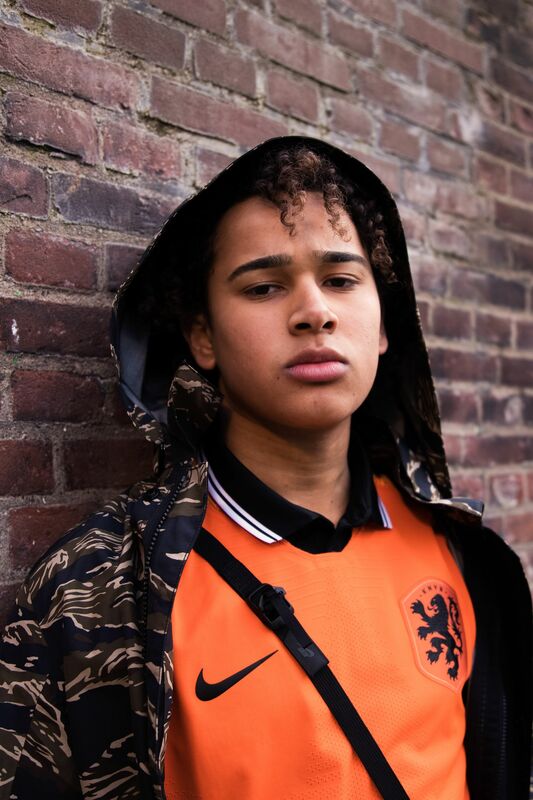 The famous Dutch ‘Oranje’ is known across the world. 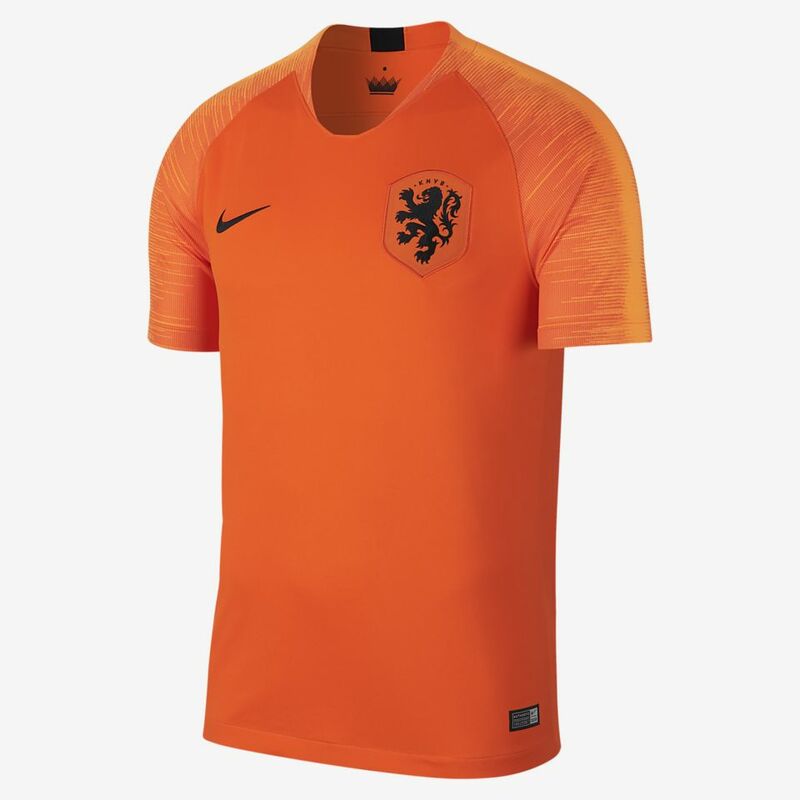 This 2018 edition of the iconic home shirt is completed by an oversized black lion, like the one worn by the legendary Johan Cruyff. 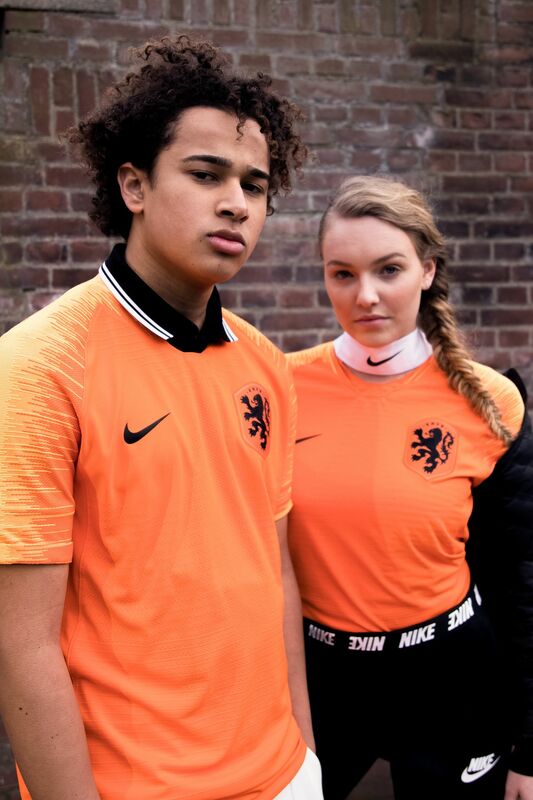 Nike’s 2018 collection captures this ambition with its theme of ‘Lethal Reignition’. 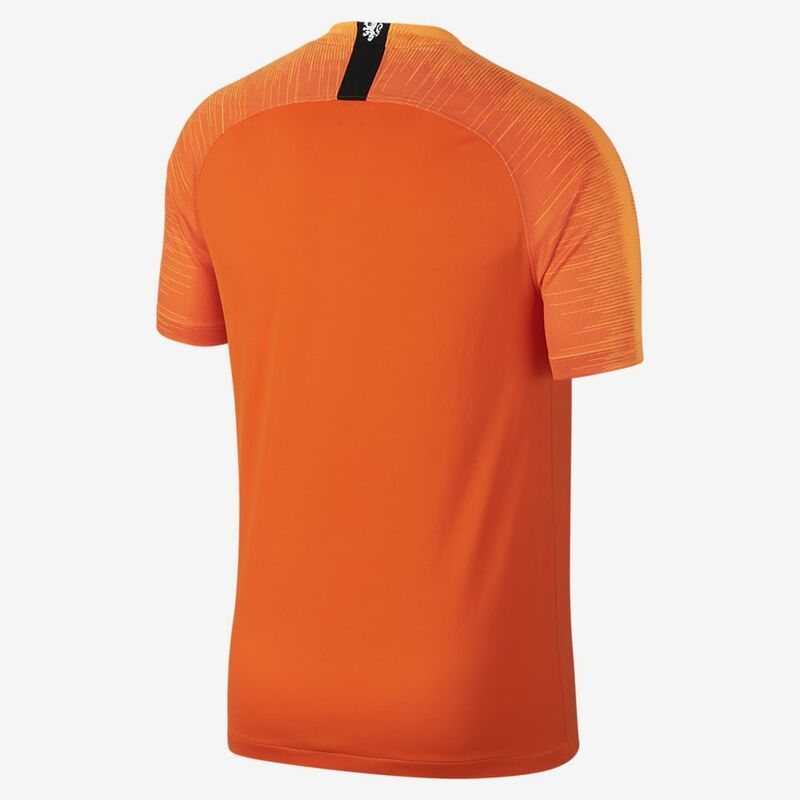 The home shirt is a deep orange, with a brighter citrus shade and flashes of white making up a speed blur on the sleeves. 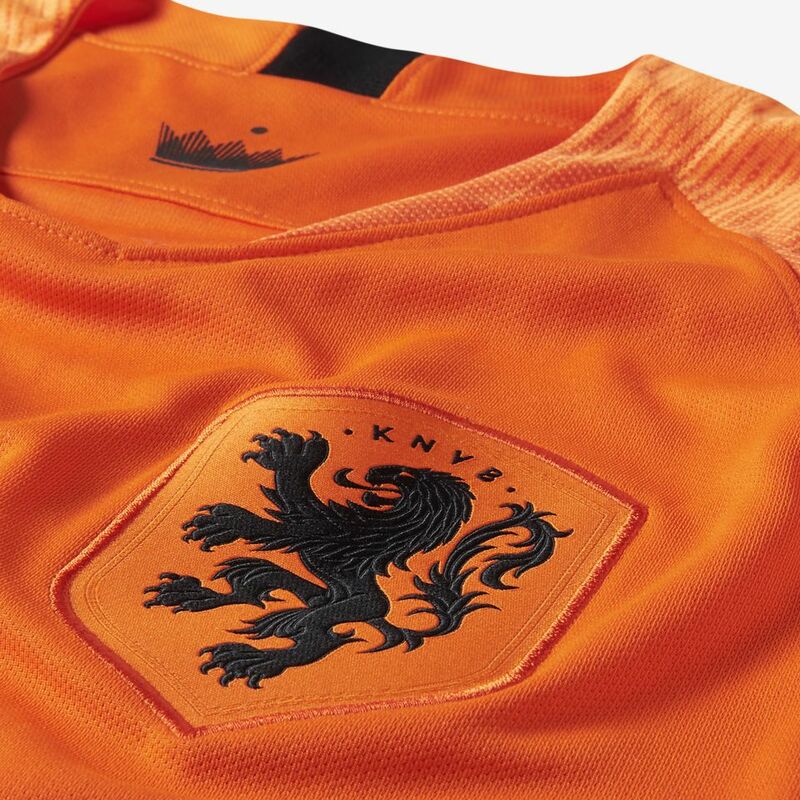 This represents the nation’s burning desire to once again compete at the highest level. 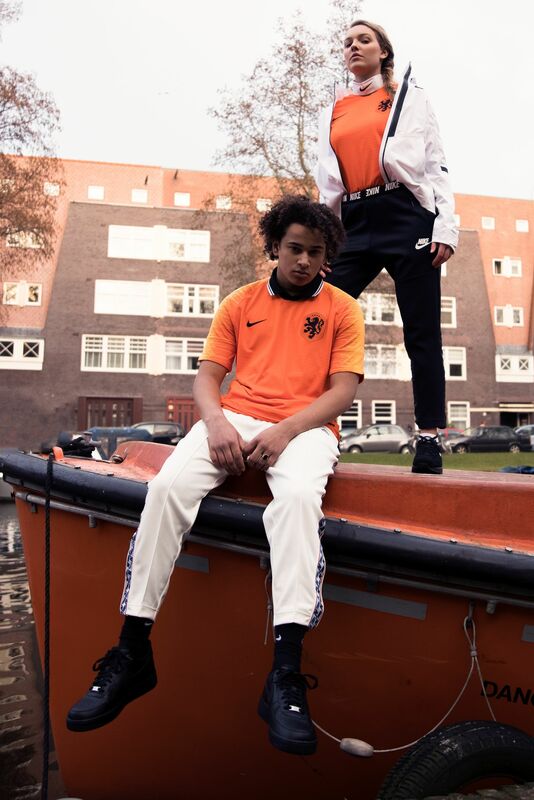 The Netherlands has given much to world football over the years—not least the artistry of their play, iconic stars too numerous to mention and the fanaticism of their orange-clad legion of supporters. Currently a team in transition, the green shoots are already beginning to show that they will soon be a team to be feared once again.